It is very easy to use BMO Online Inventory System Malaysia’s sales report tool. You will be able to track our business sales online and see your main sales driver in a few clicks. Being able to review your sales report frequently, you can plan your sales goal. 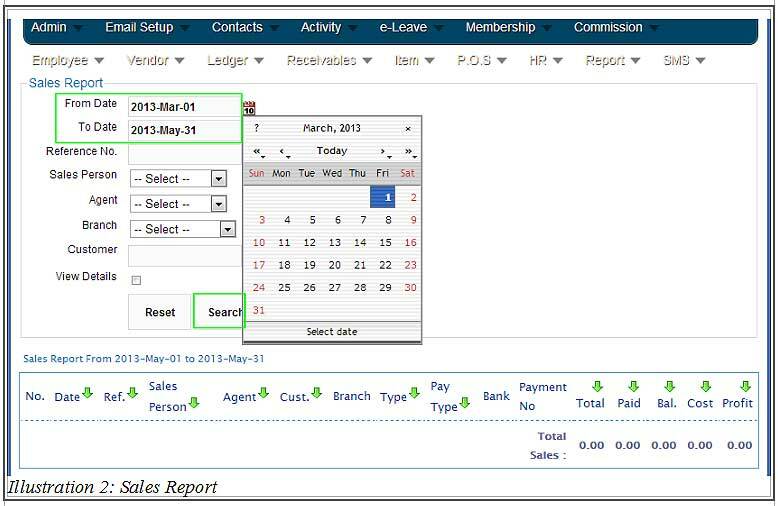 Below is a simple guide on how to view a sales report based on dates in BMO Online Inventory System Malaysia. 1. 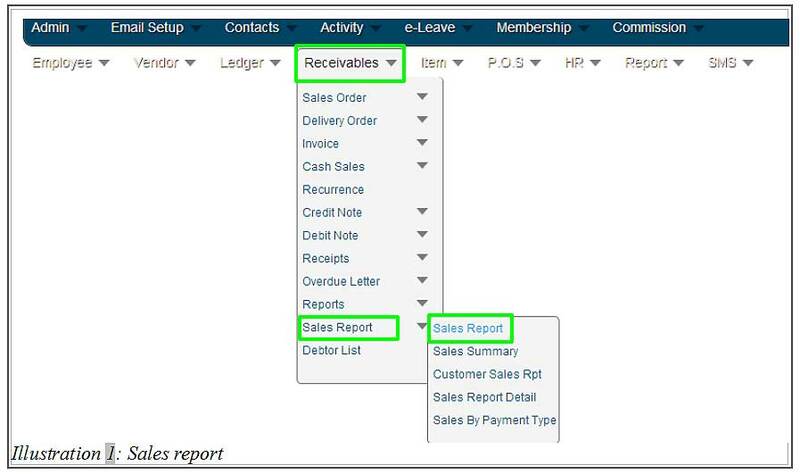 Click on Receivables > Sales Report > Sales Report to view sales report. 2. In this Sales Report page, fill in at least one of the sales report’s detail. For example, select the dates to view sales report based on that period of time. Click on Search to search for the report on that particular duration. 3. Now, you are able to view all the sales report during that specific duration of time. 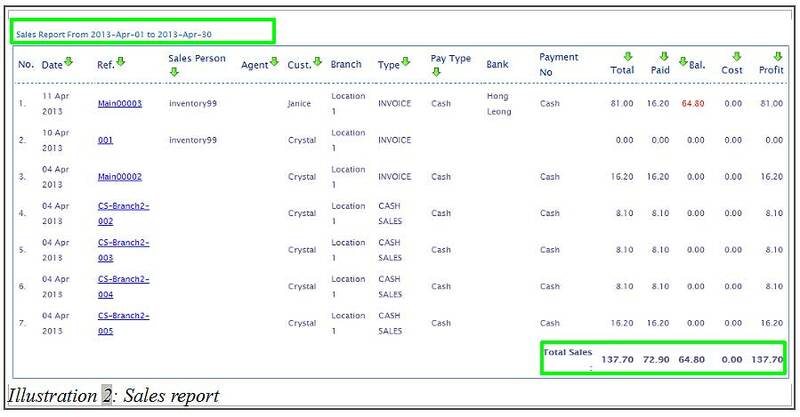 Together with these sales reports, sales cost is also listed together with every sales report. Below the list, the total cost of sales reports is displayed.